These are the official Bing & Flop licensed characters, Bing & Flop. Bing is an award-winning, popular children’s TV franchise, and so a Bing and Flop mascot will be instantly recognisable to many younger fans. 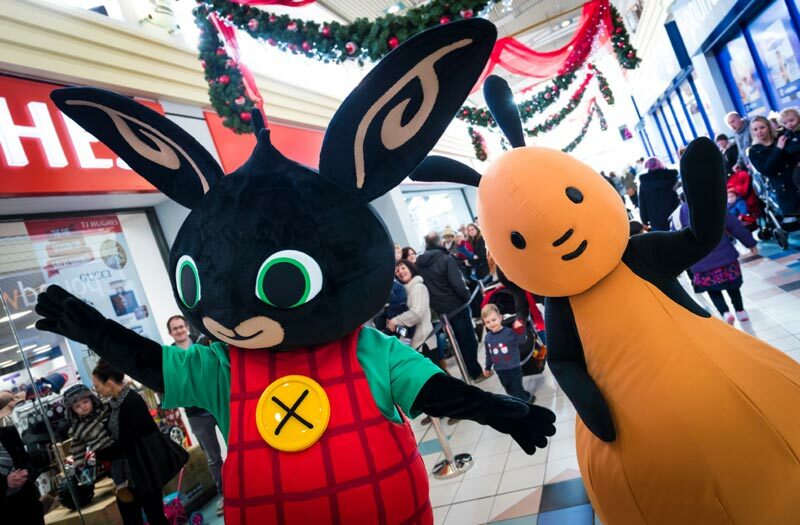 Whether you’re holding a fete or festival, concert, a different type of special event or simply want a character to attract footfall in places like shopping centres, you’d best hire Bing and Flop! The appearance of professionals in popular Bing and Flop costumes will delight youngsters (and no doubt attract some slightly older selfie-takers), and is a great way to increase the overall profile of your event. Having someone in a Bing bunny mascot costume to greet patrons makes your function instantly more memorable, and you can be sure that all of our actors are highly trained and skilled to pleasantly and professionally interact with event-goers. On the day, we’ll also ensure the character has a “Minder” to help with things like navigating crowds, eating and changing costume, giving you peace of mind that the important things are being taken care of. If you’re planning on Bing and Flop costume hire for your next event, why not enquire with local press about the possibility of some media coverage? Having well-known and loved characters at your event not only adds a sense of occasion, but it can also help drive upwards the profile of your event, which can be especially advantageous if you’re hosting a charity event for example. 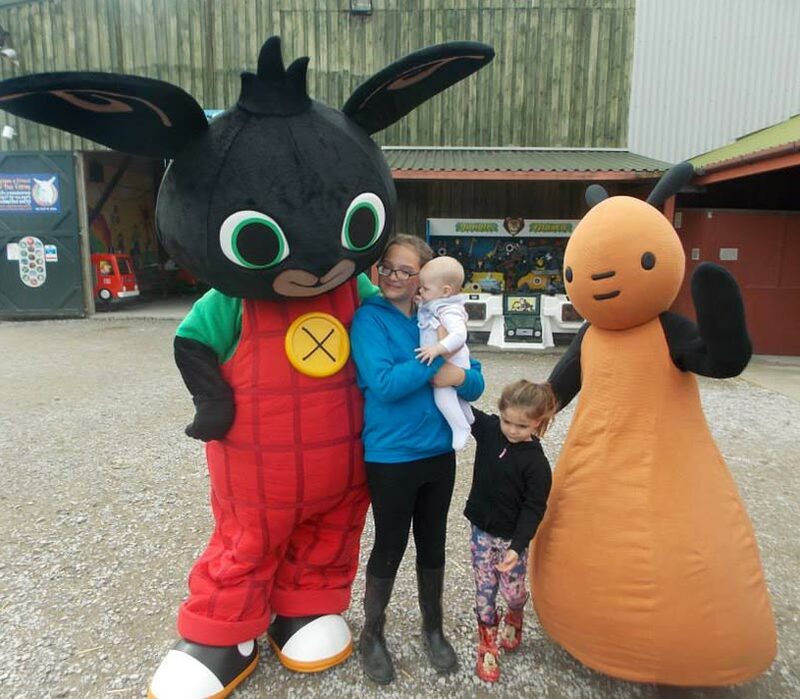 Let little fans meet meet Bing and Flop at your next event At Rainbow Productions, all of our licensed characters are approved for public appearances, and so you can be sure of both professionalism and authenticity with every booking. Hiring someone in a Flop or Bing outfit is a sure way to delight little ones at a range of different public events. Our prices are competitive and inclusive of Public Liability Insurance. To find out more about professional Flop and Bing costume hire, click here to contact us today. Bing is 3 years old and a typical pre-schooler. He is spirited, lively and fascinated by the world around him and learning about life. Adapted from Ted Dewan’s intuitive books, Bing launched on CBeebies in June 2014 and has since won an International Emmy Award. The episode “Bing Bye Bye” earned the creators, Acamar Films, the title of Best Writing in a Children’s Television Episode from the Writer’s Guild of Great Britain. Bing is aired in 27 countries worldwide and has over 90k social media followers.